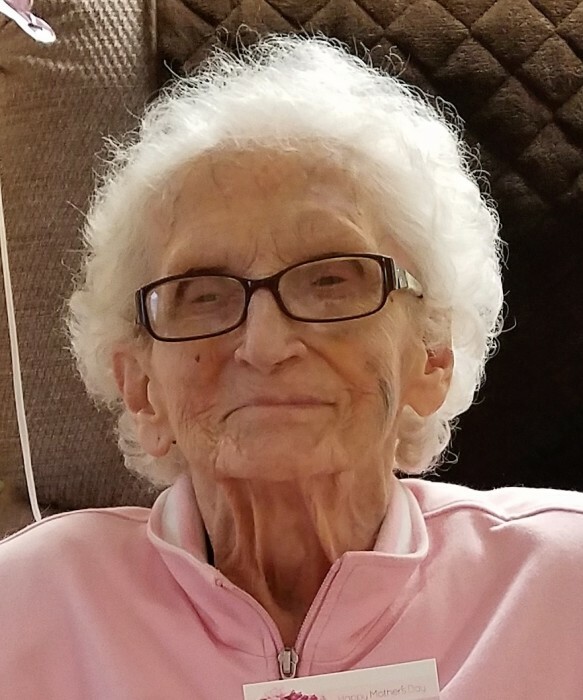 Ellen Louise “Tutta” Shippling, 92, of Johnsonburg, died, early, Tuesday, October 23, 2018 at the Elk Haven Nursing Home. She was born on April 5, 1926, a daughter of the late Albin and Emma (Swanson) Johnson. On July 2, 1949 she married Otto A. Shippling who predeceased her on June 18, 2011. Besides her parents and husband, Tutta was preceded in death by: a daughter, Beth Thorwart; five sisters, Bertha Johnson, Lillian Storrar, Georgia McCracken, Marion Eckert and Margie Gay; and a brother, Irwin Johnson; leaving her as the last surviving member of her immediate family. She is survived by: two children, Krista (Bud) Rusalem of Johnsonburg and Leah (Bill) Calla of Jackson, MO; a son-in-law, Bill Thorwart of Johnsonburg; seven grandchildren, Toby (Tracy) Rusalem, Kira Lechien, Julie (Josh) McDuff, Rachel (Jason) Wells, Bill (Jen) Thorwart, Abby (Tim) Jones and Bill Calla; and fifteen great-grandchildren, Joey and Tyler Rusalem, Brayden and Jayce Lechien, Luke and Benjamin Jones, Jenna, Jaeli and Jake McDuff, Ethan and Emma-Kae Wells, Bailey, Cooper, Mila and Jax Thorwart. Tutta had worked at Stackpole of Johnsonburg in her younger years and then as secretary for NY&Penn Paper Mill, St. John Lutheran Church and finally retired from the Johnsonburg Area School District. She was a member of the St. John Lutheran Church and WELCA of the church. As the youngest of seven, she enjoyed her time with her family and serving as caregiver for many through the years. She lived all her life in Johnsonburg. Visitation will be held on Thursday, October 25, 2018 from 6 – 8 p.m. and again on Friday from 9:30 – 10:30 a.m. at the Ubel Funeral Home of Johnsonburg. Funeral Services will be held, 11:00 a.m., Friday, October 26, 2018 at the St. John Lutheran Church with Pastor Stephen Fair. Burial will take place next to her husband at the McKean Memorial Park. In lieu of flowers, the family suggests memorials to the St. John Lutheran Church of Johnsonburg and will be accepting online condolences at www.nedzafamilyfuneralhomes.com.